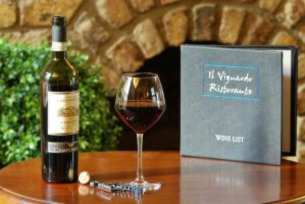 Il Vignardo Restaurant, a stylish eatery, at the Beresford Hotel, in the city centre, serves modern Italian food and offers a good wine list, in addition to serving morning buffet breakfasts. This authentic Italian restaurant offers tasty dishes from all over Italy, particularly Tuscany and Campania, using specialist Italian and locally sourced fresh produce. Enjoy a meal in the vineyard-themed dining room. Unique décor with curved ceilings and columns evoke thoughts of Italian vineyards and sunshine. A varied, well-sourced wine list is available, by the bottle or glass. Weather permitting, dine al fresco or simply have an aperitif or a post prandial drink in the heated courtyard garden.